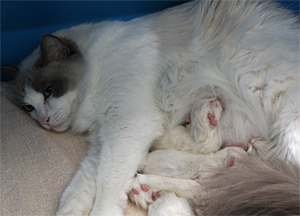 The litter contains of 5 kittens. 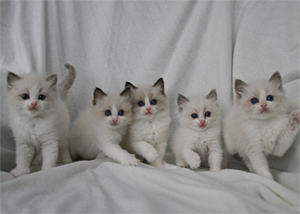 They were born 6 Februay 2011 and we call them the "Word litter". 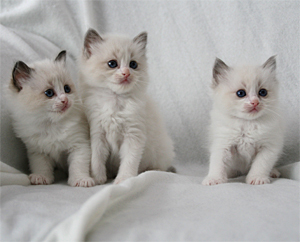 Their names are as usual from the Eurovision Song Contest (ESC). 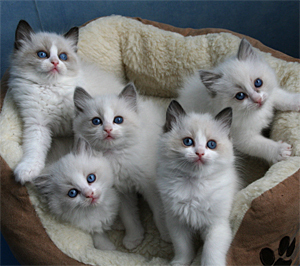 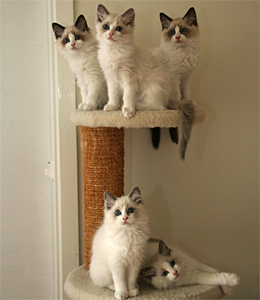 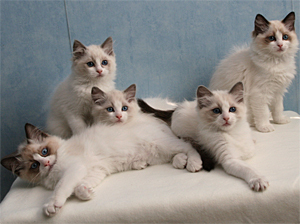 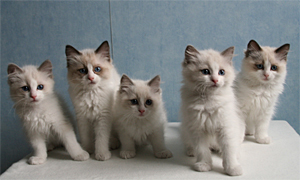 The common theme for the kittens is "word" in different languages. 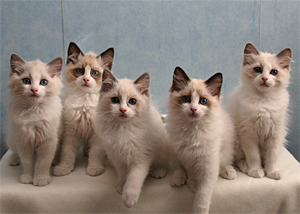 The boys are named S*Eurovisions Fiumi di Parole (seal bicolour), S*Eurovisions Sobran las Palabras (blue bicolour) and the girls are named S*Eurovisions Les Mots D´Amour (blue bicolour), S*Eurovisions Millim (blue bicolour) and S*Eurovisions Say a Word (seal bicolour).